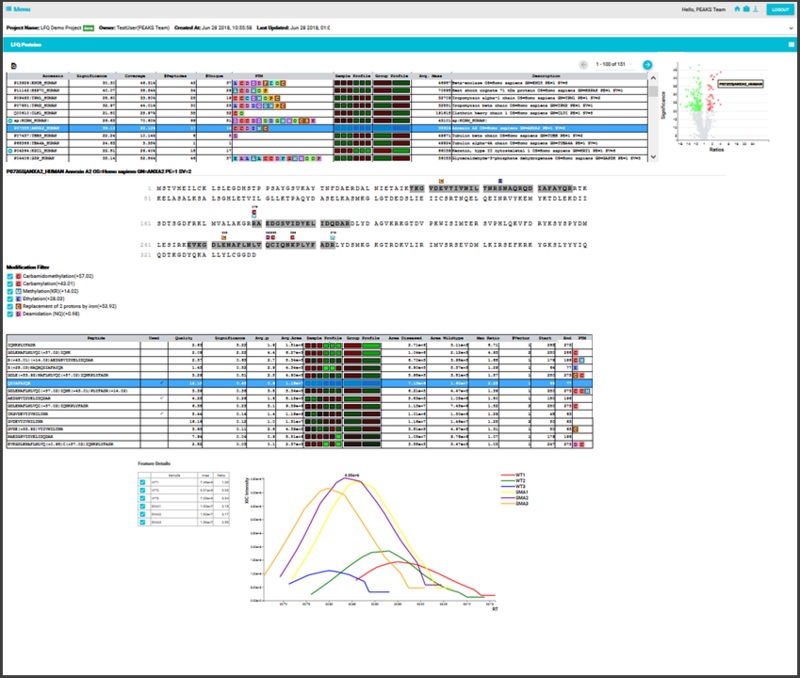 PEAKS Online, means high-throughput sequencing on a shared resource. 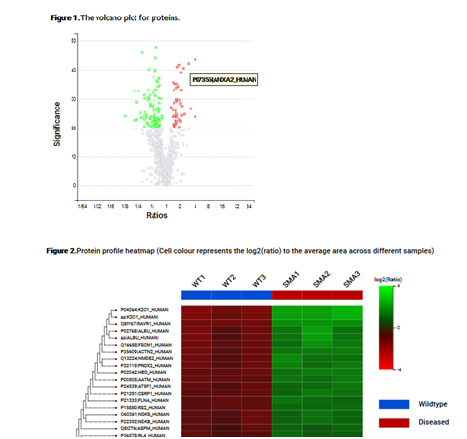 This proteomics server software is fully parallelized with the ability to run on any cluster or multi-CPU machine. PEAKS users get the same detail-oriented results as PEAKS Studio with the advantage of using a shared resource. Users interested in accurate quantification results can add an optional PEAKS Q quantification module. Users are able to run the same proven algorithms included in the PEAKS Studio solution, efficiently and on a larger scale. The interactive tool used to send/retrieve data to/from the server is called PEAKS Client, presenting results in the same intuitive manner as available in the desktop solution. 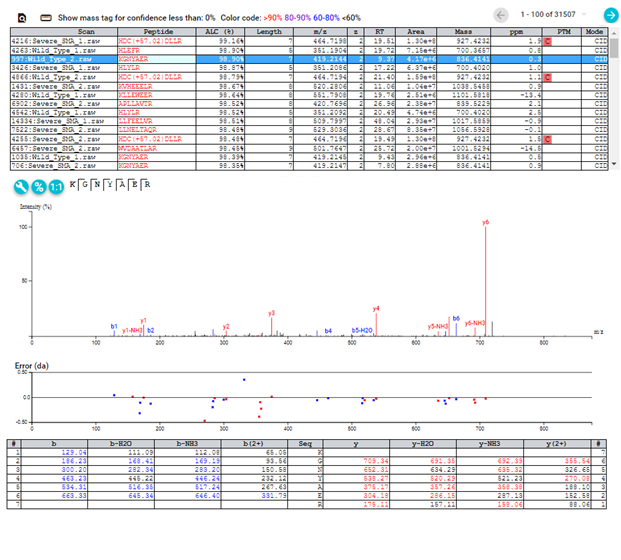 Mass spectrometry data is imported into PEAKS Client. PEAKS Client is used to define search parameters and send to processing server. 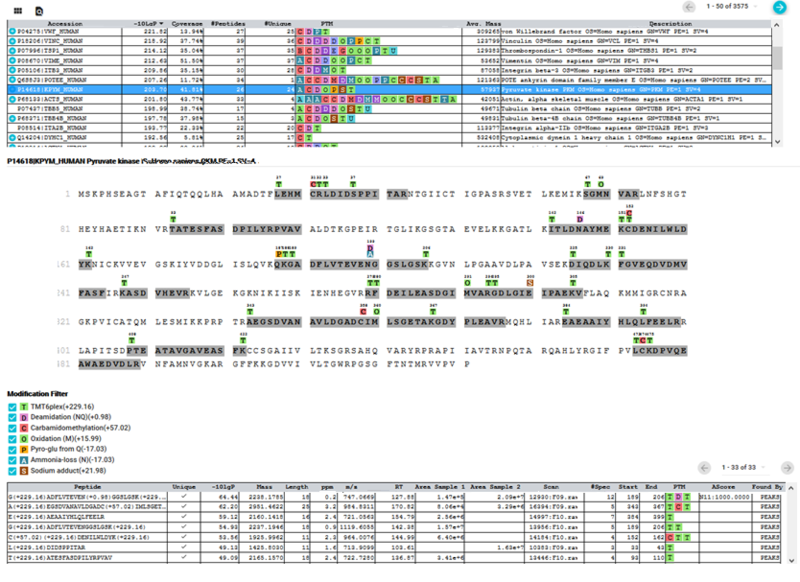 Server analyzes data and sends results to user. PEAKS Client is the interface which users can view the results. Both PEAKS Online server and Client licenses can be scaled to address your lab’s requirements.